I made a mistake. In May 2015, my brother and I took our mother on a trip to New York City for the weekend as a gift for her 60th birthday. 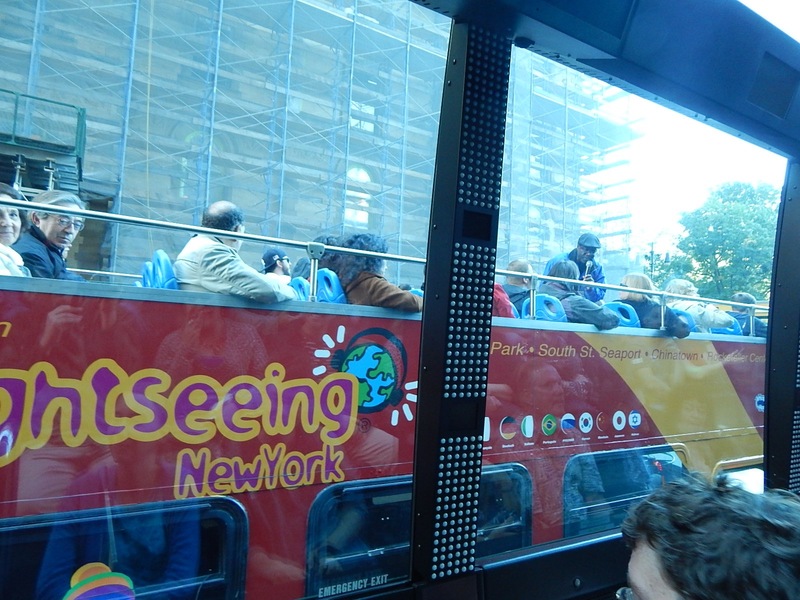 Considering we didn’t have a lot of time to see many of the sites on our list, we opted for the traditional hop on/hop off bus tours found all over the city. What we didn’t take into account was that after hopping off twice, our mother had no desire to continue to be on her feet for the duration of the weekend. We instead listened to a barely audible sound system in uncomfortable hard plastic chairs on the second floor of an open air bus where we froze during an unseasonably cold weekend in May. Never. Again. What I should have taken was The Tour, a new offspring from The Ride in New York City. 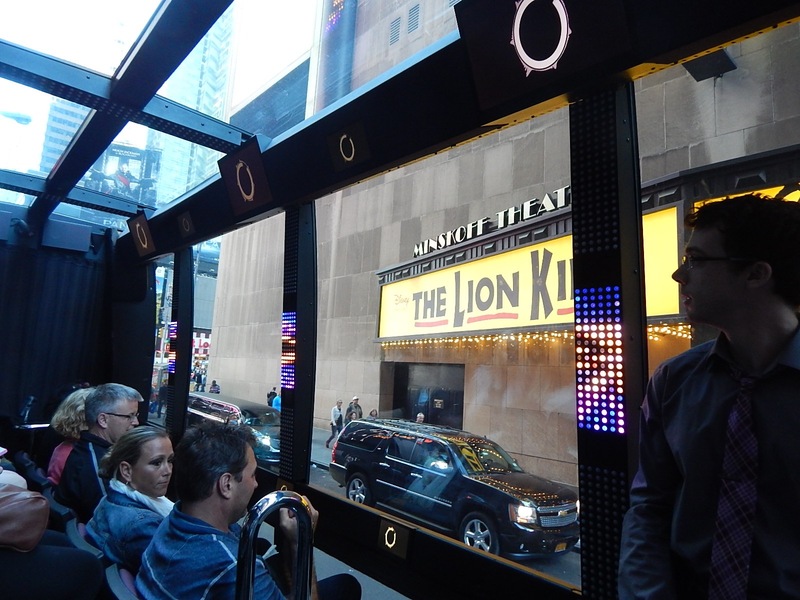 For those unfamiliar,The Ride is a Broadway show on wheels. 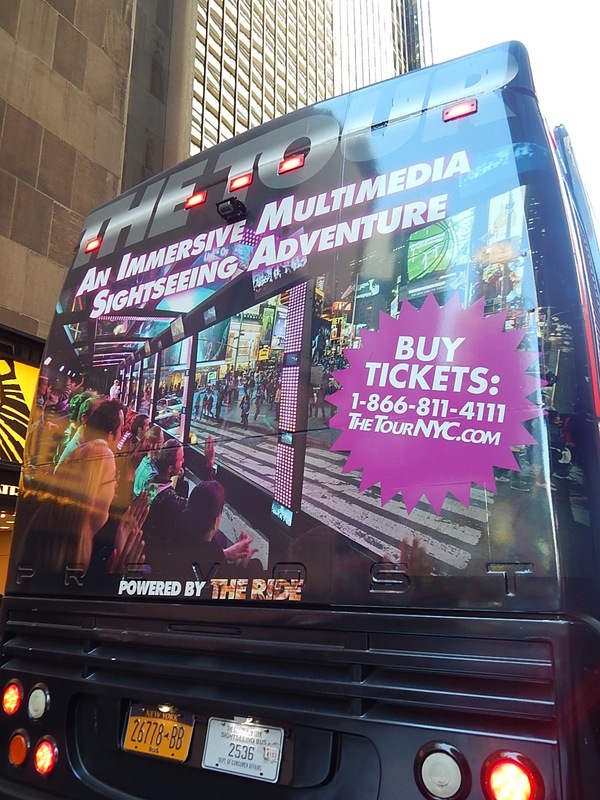 Two highly entertaining tour guides bring you through the streets of New York and like magic, performances happen right on the streets as you roll by on your patented $1.5 millionluxury motor coach. 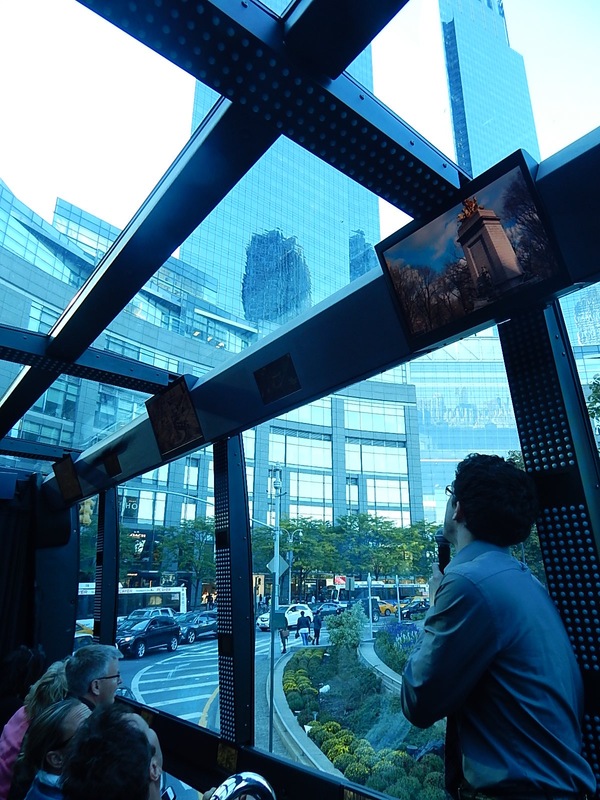 The Ride is, by far, the best way to see New York City. 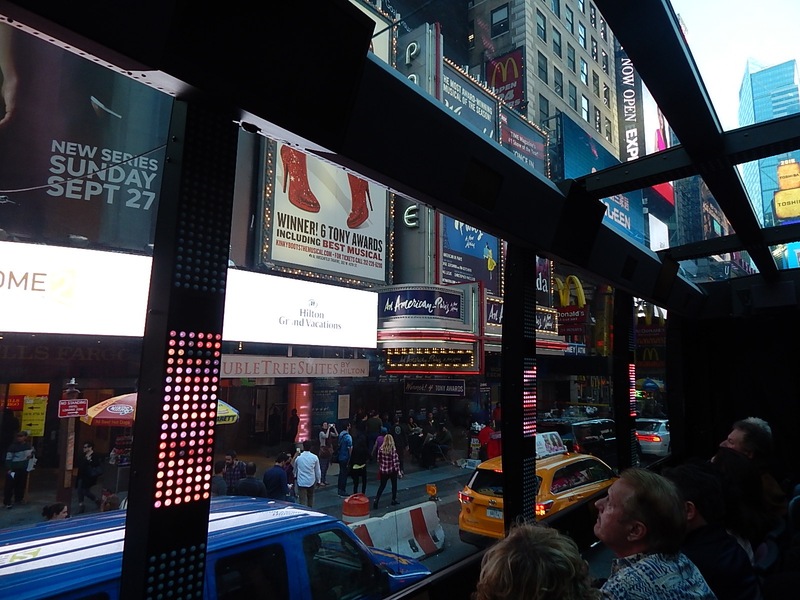 That same patented luxury bus with stadium seating facing to the side with floor to ceiling windows, 40 television monitors and surround sound is what I got to experience on my most recent visit to New York when I finally experienced The Tour in October 2015. 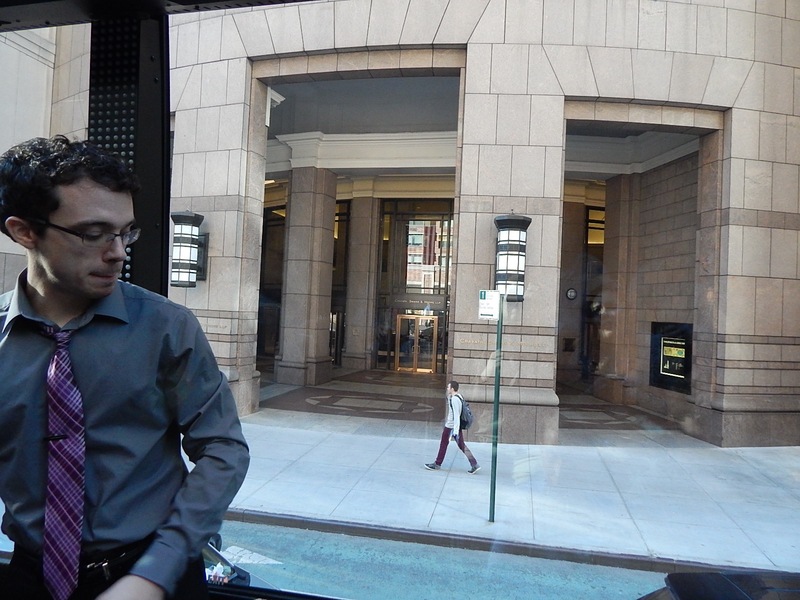 While The Tour and The Ride may share the same bus system, they are fundamentally different. 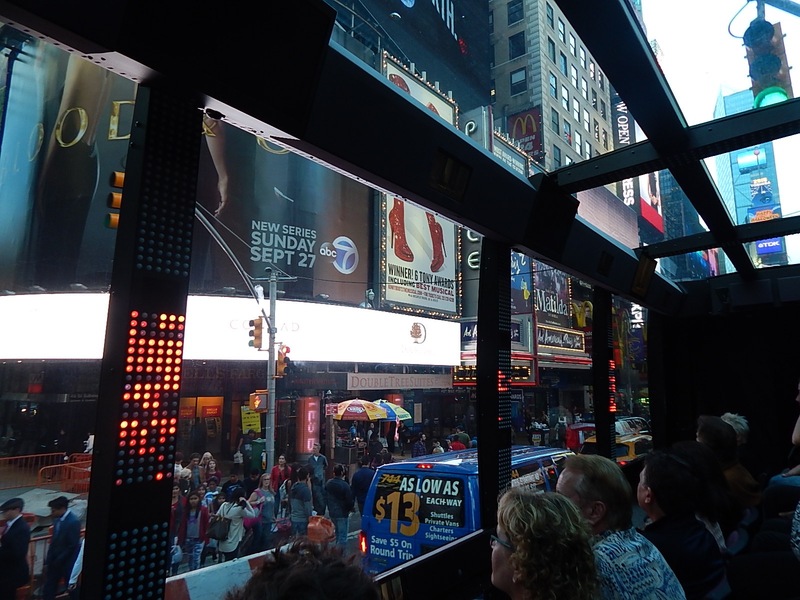 Instead of having two performers on your bus and live performers scattered around the city,The Tour takes a different/longer route and has only one guide. 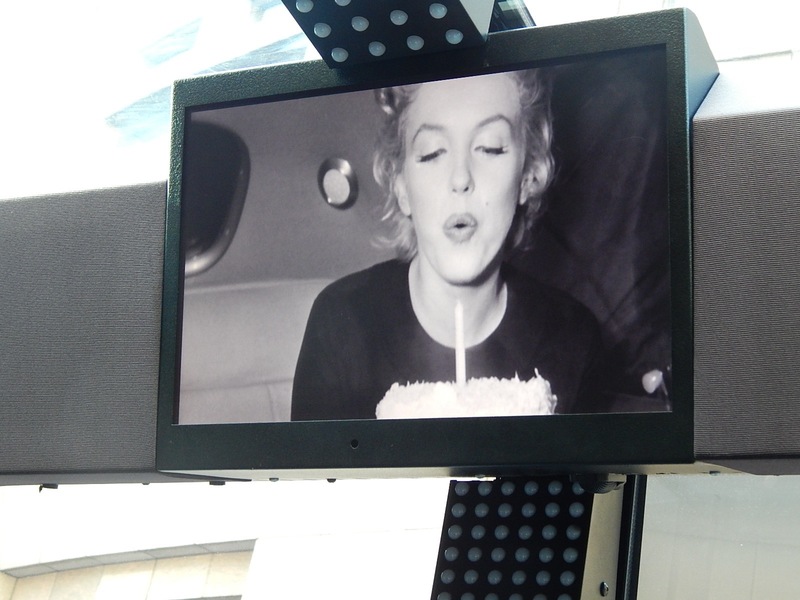 Aside from climate controlled comfort in cushioned theater style seats, The Tour uses multimedia along the way to not only tell you about the landmarks in front of you, but show you the past. 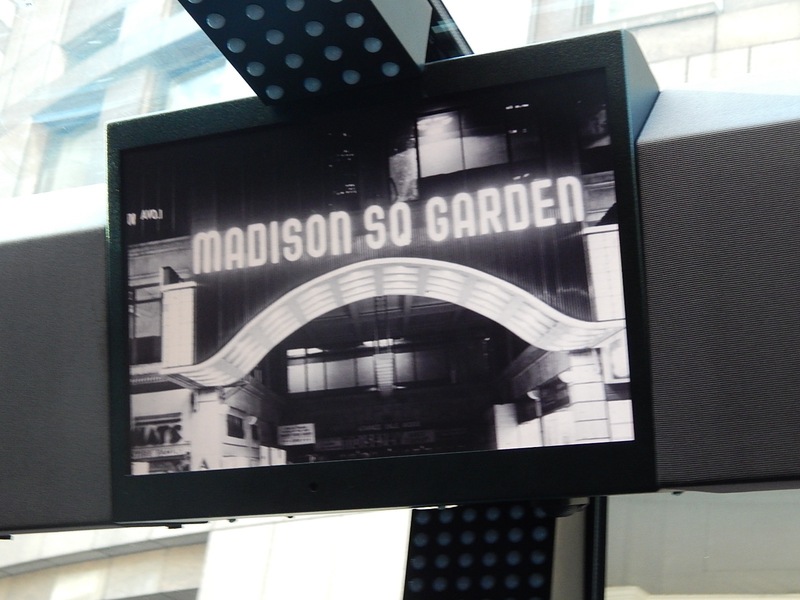 For example, did you know that Madison Square Gardens has been in four different locations across New York City? The third version opened in 1925 and was located on 8th Avenue between 49th and 50th Streets. Dozens of events were held here before it closed in 1968, including boxing matches, hockey games and even the Ringling Brothers Circus. However, none compare to the iconic moment when Marilyn Monroe sang “Happy Birthday, Mr President” to John F. Kennedy at his birthday party in May 1962. Thanks to archival footage and the dozens of televisions, you can see that moment on television screens while looking at the actual building in climate controlled bliss. This, combined with a professional tour guide, is what sets The Tour apart from traditional hop on/hop off bus tours all over the city. I recently spoke with The Ride and The Tour CEO Richard Humphrey about the future of the company. He told me they are planning on a third offering opening early next year called The Tour Downtown. According to Humphrey, the plan is to open a version of The Ride in 21 cities over the course of the next 10 years. 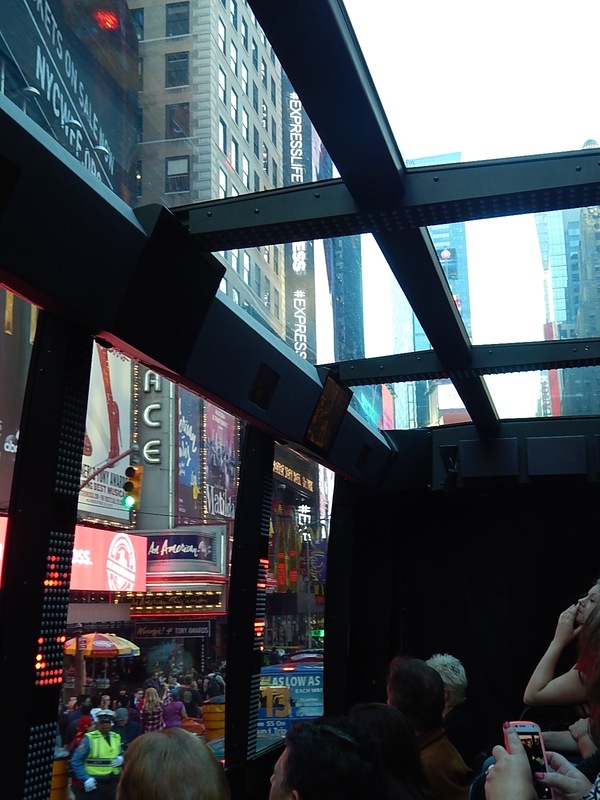 Future tours will be modeled after The Ride Downtown in New York which will be a combination of factual tour and performance art. Each city poses its own unique challenges with laws on street performances, where you can stop and start a tour and even the size of buses allowed. Needless to say, each city will be unique and I personally can’t wait to try this when they start launching in other cities around the globe! For more informationvisit www.TheRideNYC.com!